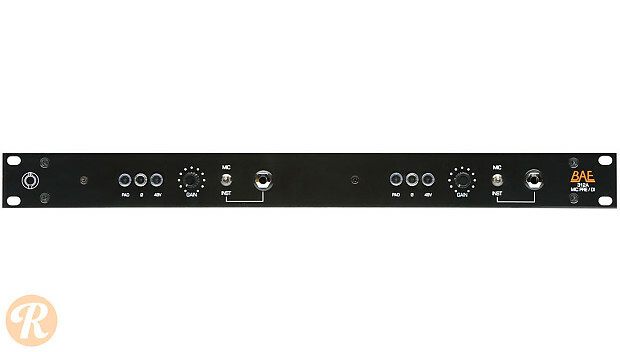 The BAE 312A is a discrete mic preamp with Avedis 1122 opamps and Jensen input and output transformers. A very simple signal path without capacitors yields a very fast, "punchy" sound. Each channel of 312A features gain control, +48V, polarity inversion, switchable attenuation, and a 1/4" direct input. Pricing here reflects a 19" rackmount 312A with two channels and no power supply.